Badass Interview: THE GATE’s Tibor Takács | Birth.Movies.Death. THE GATE, one of the most notoriously traumatizing children's movies of the '80s, turns 25 this year. The Alamo Drafthouse — West Oaks will be screening the film and its sequel this month and, in preparation, Robert Saucedo chatted with the films' director about making kid-appropriate horror, giant 3D spiders and SABRINA THE TEENAGE WITCH. 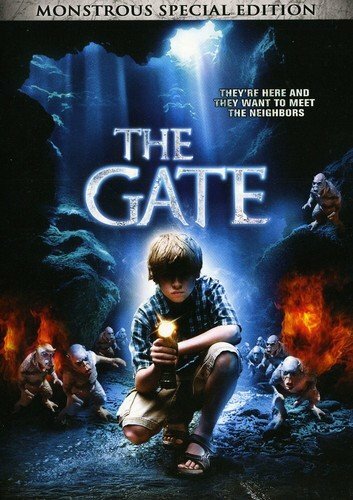 This year marks the 25th anniversary of The Gate, the movie that not only introduced the world to Stephen Dorff, enemy of Daywalkers everywhere, but also launched a thousand childhood nightmares. From pint-sized demons to eyeballs growing out of children’s palms, The Gate is responsible for many a sleepless night as kids rocked back and forth in their bed and prayed that they wouldn’t be devoured in their sleep by rodent-sized monsters. The film starred Dorff as a young boy who opens a gateway to another dimension by digging a hole in his backyard and mucking around with ancient powerful magic and the even more powerful conduit to hell that is heavy metal. Directed by Tibor Takács from a script by Michael Nankin, The Gate became one of the biggest success-stories of 1987 when it, a $4 million horror movie from then eight-month-old New Century Vista Film Co., very nearly outgrossed Colombia Pictures’ Ishtar, the infamous Warren Beatty and Dustin Hoffman comedy that cost $40 million plus to make. To celebrate the film’s 25th anniversary, the Alamo Drafthouse — West Oaks will be screening The Gate as a double feature with its sequel as part of the theater’s Graveyard Shift horror movie series. Both films will be screened from 35mm prints. In advance of the screening, I chatted with director Tibor Takács to discuss the film, its sequel and how directing The Gate landed him a job on Sabrina The Teenage Witch. Despite containing some of the creepiest monster movie moments from the ‘80s, The Gate was intended to be a horror movie for children. The result is a movie that was wholly successful in traumatizing quite a few children — and more than a couple adults too. What do you see as the difference between horror movies made for children during the ‘80s and those made today? The Gate is perfectly acceptable for children eleven or up — depending on how innocent they are. Horror movies aimed at kids have certainly become harder edged lately. People are more willing to accept certain things under the PG-13 rating today that they weren’t willing to accept back then. We were pushing the envelope back then — I knew it for sure. We even had to cut out a few things from the final film — a few frames here and there that were a bit too extreme. I remember one scene in particular — where Terry was hiding in the closet and pops out only to get a Barbie doll in the eye. That was a bit too much for the ratings board so we had to trim a few frames from that scene. The Gate features special effects work that remains just as impressive today as it did twenty-five years ago. From the use of stop-motion animation, forced perspective shots and a half dozen or so men in demon suits, you and your team were able to really capture a highlight real of what made so many ‘80s monster movies special. Can you talk a little bit about the special effects prep work that went into making The Gate? Many of your films since The Gate have been very special effects oriented. What was it like doing a creature feature during the ‘80s as opposed to today? Nothing works as well as effects in-camera — especially if you really pay attention to the details. Which we did. We had the time to do so. These days, looking back at the past, it was such a luxury back then. We had three or four months to prepare, to do storyboards and to just really discuss every special effect and how it was going to be done. Now these effects discussions will take place over three or four days. Back then we took weeks to formulate a plan. Now, most things are done in CGI. We’ll run into something difficult in the script and, instead of figuring out a way to do it practically, we’ll just do it in CGI. Not a lot of thought is given to special effects up until you get to post and at that point you’re tearing your hair out trying to figure it all out. While we were filming The Gate, all of the special effects were done at the same time as filming. We basically had the run of Kleinburg Studios — which I think had three sound stages and we had rented two of them. In one we had standing sets and another one was where we had what we called the special effects cave — where we built all the forced perspective shots. Randy would supervise the preparation of these shots. He would hand paint a lot of the sets and props. I remember seeing him prep one — remember the stair shot where the minions appear as the kids are running back into the house? — I remember seeing him painting the edges of the prop himself just to make sure the two sets were the right match. With forced perspective, you would have the life-size set and then, about 30 feet below, you would have the giant set where the minions would appear. There would be a sort of jagged line that you couldn’t really follow with your eye unless you really carefully looked at the film. It was pretty seamless. Since The Gate, you’ve directed a lot of variations of the monster movie genre. You’ve also worked on a lot of family friendly projects — including taking a very active role in both the original television movie Sabrina The Teenage Witch and a few of its spin-off shows and TV movies. How did filming The Gate prep you for the career that you’ve had? It was all due to the fact that The Gate was a creature feature and the idea that it was a sort of enchanting movie and not a hard-edged slasher film. Some people respected that. I remember at the time people were always comparing The Gate to A Nightmare On Elm Street or something where to me the films had a completely different type of audience. The movie was always intended for tweens. People really never talked about tweens as an age group back then. Now Disney specifically caters to them quite a bit. At the time, though, people just lumped tweens in with teenagers. But I always thought The Gate skewed really young and it was an enchanting movie as opposed to a truly horrific movie. With The Gate 2, though, you switched gears and released an R-rated film. The actors were a bit older and the movie,, while not overly violent, definitely had a bit harder of an edge to it. The rating of The Gate 2 was from us being backed into it. We were told the sequel had to be an R. I always thought the concept of kids digging up a hole in their backyard and demons coming out was always strictly the fantasy of an eleven-year-old. I don’t think many fifteen or sixteen-year-olds were going to be thinking about that, you know? Maybe some of the other aspects of it— like the music or whatever — maybe that skews older but I always thought of the movies as being made for younger kids. In The Gate 2, Louis Tripp returns as Terry, the metal-loving friend of Dorff’s character from the first film. What the film might lack in the original’s charming childlike look at horror, it makes up for with batshit insane fantasy — including some nice nods to H.P. Lovecraft’s work. Can you talk a little bit about the sequel? The sequel was kind of an on and off again thing. Once we received the green light, we had to rework a script that was sort of already in existence. Well, we basically started from scratch on the script. We never found out until the very last minute how much money we were going to get to shoot with. On top of that, during production the dollar shifted and we lost hundreds of thousands of dollars from the budget and the ending needed to be changed while we were in production. It was a difficult shoot. Was it always your intention to have Louis Tripp be the only returning cast member? We wanted the make the sequel very different –a sequel that’s a real sequel and not just a retreading of the same territory. At the time I was pretty close to Stephen Dorff’s parents and we talked about the sequel for a little bit but I thought that maybe Stephen could use a break from acting — he was very busy around that time. It was always our intention to go ahead and just use Terry. Everybody was on board with that idea. There was never a problem or it wasn’t caused by anything. It was just our decision — a conscious, deliberate decision. What do you think the sequel’s legacy is? (Laughs) People tend to focus on the first film. The sequel doesn’t really hold up — well, it holds up and it’s entertaining but it’s the first film that’s really seminal. What about the remake? Last I heard Alex Winter was on board to direct that. Have you been involved in any way? We were on board and involved in the remake for a while and then we had a difference of opinion and we parted ways. I don’t even know if they shot it or not! I can’t get a straight story. Right now you are in post-production on Spiders 3D, a film about giant mutated spiders attacking New York City. Can you talk to me a little bit about that film? It’s taken almost a year for the CGI but it’s going to be pretty spectacular. The spiders are going to look amazing. This size of spider really lends itself to 3D. We have a few giant spiders that are 30 feet long but most of the spiders are about the size of a small car. In 3D, that size of spider tends to lend itself to framing and the type of shots that work well in 3D. Spiders 3D is actually a disaster movie crossed with a creature feature — which is inspired by the Japanese way of making these movies. Between the stuff SyFy Channel is putting out and the movies from Asylum, this really is a golden age for monster movie fans. What is it about giant animals on the attack that inspires filmmakers to keep dipping into that particular creative well? I think it’s basically something really deep-rooted in our psyche. We love monsters and the idea of monsters. We always have. These modern monster movies are filling a vacuum — there just weren’t enough movies out there like it. This isn’t your first foray into insect related movies. You’ve previously done Ice Spiders and before that Mansquito. Can you talk a little bit about how a movie with such an awesome name came to be? Mansquito was another project where we had carte blanche. The producers said they wanted a film about a guy who turned into an insect and beyond that we were just able to have a lot of fun with the plot and pay homage to other films like it. Shooting in Bulgaria allowed us to stretch our budget and do some crazy things that we could never have done here. There’s also quite a bit of CGI in the movie. We were able to use a combination of CGI, blue screen and live action to create Mansquito and it all worked out quite well. I wish the practical side of the Mansquito costume was a little more articulated but overall it worked out great. Another project you were heavily involved in during the ‘90s was Sabrina The Teenage Witch. You directed the original television movie, an episode of the TV show and the made-for-TV sequel Sabrina Goes To Rome. How did you get involved with the Sabrina franchise? One of the producers of Sabrina over at Viacom was somebody I had worked with on I, Madman and he knew about The Gate. He felt I had the right kind of chops to do something with teenagers so he put me on that project. The script was already in existence but Viacom wasn’t that excited about the project. They just needed to fulfill a commitment. It was pretty much “Here’s your budget. Don’t go over. Just make it work.” They didn’t seem to care too much about anything beyond that. One thing that did happen was that I was able to actually sculpt the script and change a lot of things — as long as I didn’t take any credit. I could do a lot to the story but I think the writer was the cousin of some guy at Viacom so I couldn’t take any credit. The biggest thing I did do with the project was that the aunts were originally old bitties — even in casting, the original idea was to bring in the woman from Poltergeist, Zelda Rubenstein. They wanted to hire her to be one of the aunts. At the time, though, I was really enamored with the British sitcom Absolutely Fabulous. 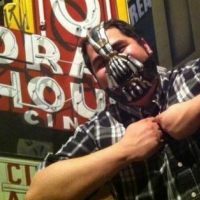 I figured our aunts should be just as cool as that so I had the script tailored for something closer to what I wanted. I think that was kind of the key to the success of the series. I’m actually still working with Melissa and her mom. We’re developing a project right now. You’re still involved with television shows centered at young audiences. You’ve directed quite a few episodes of the Canadian teen-centric television show My Babysitter’s A Vampire. Can you talk about how that show compares to The Gate? It’s been a lot of fun. The show is very much in the same realm of The Gate— tweens empowering themselves. While in the show, the kids empower themselves with superpowers in the face of evil, in The Gate the kids empowered themselves with practical household items — but in both shows they do eventually overcome the demons. In My Babysiter’s a Vampire, it’s much more comedic – obviously but both projects are very similar — including the young cast. I enjoy working with kids. I have from all the way back from the time of The Gate. From Stephen Dorff in The Gate to Pamela Segall and Simon Reynolds in The Gate 2, you’ve had the opportunity to work with quite a few actors in some of their earliest roles. What’s the difference between working with actors when they’re young as opposed to when they’ve had a few more years under their belt? Whenever I work with young actors it seems they don’t come with any baggage — or at least less baggage. There are less bad habits in general and their temperaments are much easier to work with. The only problem is their working hours. They’re not allowed to work as much. Maybe we should do that with the adults instead. (laughs) They’d probably feel a whole lot better and be easier to work with. What do you think will be the difference between the generation of horror fans that grew up on THE GATE versus the generation that is currently growing up on MY BABYSITTER’S A VAMPIRE?